Nobody gets rich by being just an employee. Well, there may be some exception but most employees have to do with their meager salaries. At times, the money they make isn’t enough to buy them a house, a car, a good education for their children, or even food on the table in their day-to-day. Meanwhile, most, if not all, rich people in the world are entrepreneurs. Some are born with a silver spoon and an heir or heiress to a profitable business while some start from scratch. Having a business these days is your ticket to the good life especially that opportunities are plenty and all you need to do is take the risk and act on it while the iron is hot, because if you don’t, somebody definitely will. The majority of entrepreneurs start with a small capital. At times, they may even have to borrow money to finance their start-up business. And with any business, there is always a risk involved. Unless you are planning to franchise an existing successful corporation like Mcdonalds, 7 Eleven, Pizza Hut, KFC and many others, you have to plan everything even if you are just starting a small business. You can benefit a lot from some marketing tricks that has helped countless businesses grow and flourish over the years. There’s nothing small about a small business. If you run one, you know this. “Small” businesses – companies with 500 employees or less – employ nearly half the U.S. workforce. They create a third of U.S. exports. They’re responsible for the lion’s share of net new jobs. And yet, small businesses often neglect the very thing that would make them even bigger: marketing. In the WASP 2017 State of Small Business Report, we found that the smaller the company, the less budget they’ve probably allocated to promote themselves. Part of this may be simple budget constraints; part of it may be a lack of time — but the result is the same: businesses suffer if they neglect their marketing. Fortunately, there may be a solution. Like most things in life, it helps to step back and get a larger perspective. Because marketing isn’t just marketing. Marketing – as in promoting your company – happens beyond ads, websites, social media or events. It happens via customer service, in how you run your workplace and in what your customers say about your business. And that’s just a partial list. Whether you are selling foods or services, providing an excellent customer service can set you apart from the competition. And you can even benefit from the popularity of social media as it makes connecting with potential customers and even your existing customer-base easier and less expensive. It’s no longer just plain business marketing but more of online marketing. E-word of mouth ensures you reach your target market without all the hassles and your other customers act like your very own brand ambassadors without having to pay them in doing so. Go for gratitude first, and loyalty will follow. The emotional response that is most likely to drive loyal behavior, according to Boncheck, is gratitude. By its definition, gratitude is a feeling of appreciation and an expression of that feeling through an overt and appropriate act. It is a reciprocal act by its very nature that can serve as the basis of a relationship beyond the transactional sale. Branding expert Bardi Toto Drake, author of “The Power of Asking” has used gratitude as the core of her marketing brand. When she began to use gratitude instead of “bragging and selling” her visibility advanced many-fold she reports, landing her on national television networks, television shows and social media (which of course has advanced her selling traction as well). Marketing should be at the heart of each business. It alone covers all the important aspects of building, growing and maintaining your business. 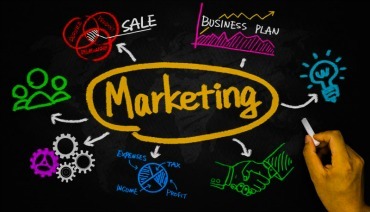 Marketing is an umbrella concept that deals with public relations, advertising, sales and promotions. And it makes perfect sense, right? The people need to hear about your business first from somewhere and then you have to deliver what you promised. Happy customers will likely become repeat customers and share just how great your business is to others. Most small business has grown into bigger enterprises because business owners knew the value of their customers and didn’t make them feel any less. Each transaction should be a positive experience for everybody. Only then can you count on having a profitable business that will grow old with you and allow you and your family to live a comfortable life for the years to come.